Secretary of Party Central Committee, head of the Central Commission for Propaganda and Education Mr. Vo Van Thuong yesterday visited and congratulated doctors and medical staffs of the Ho Chi Minh City Pasteur Institute on the 62nd anniversary of Vietnamese Doctors' Day (February 27, 1955- 2017). 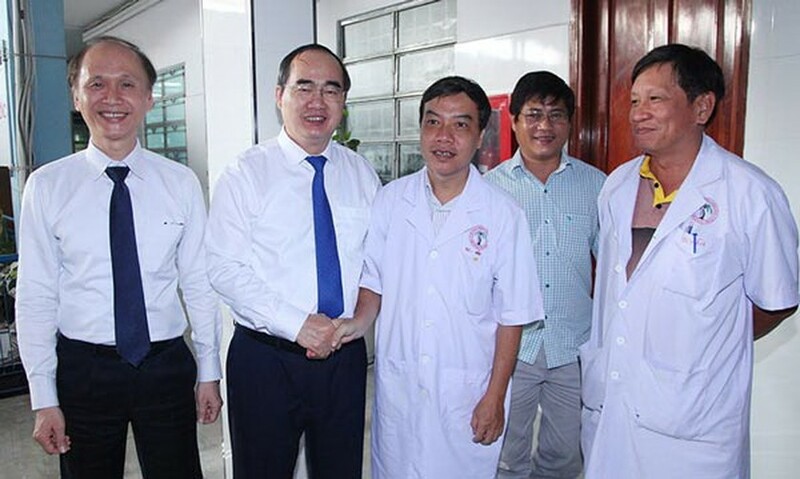 Chairman of Vietnam Fatherland Front Central Committee Nguyen Thien Nhan (the second person from left) visits doctors and medical officials at some hospitals of the city. During the meeting, head of the Ho Chi Minh Pasteur Institute Phan Trong Lan reported that the Pasture Institute has closely collaborated with local health agencies in implementation of disease prevention and extinguishment in order to affirm its responsibility of scientific research, mentoring, disease prevention and preventive healthcare although 20 cities and provinces of the southern region, especially Ho Chi Minh City has become hotspot of new & dangerous diseases and viruses as SARS, H5N1, Mers CoV and Zika in previous years. Mr. Vo Van Thuong highly appreciated achievements and active contributions of the city’s Pasteur Institute in general achievements of the health sector as well as healthcare services for people. 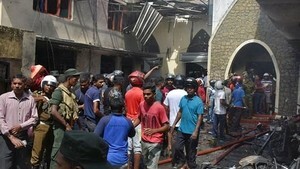 In parallel, he also hoped that the doctors and medical staffs need to do better in preventive healthcare within a context of current complicated climate change causing appearance of new dangerous disease or inflection of old diseases. On this occasion, the leaders also visited and offered flowers to Professor and People’s Teacher Nguyen Dinh Hoi. On the same day, Chairman of Vietnam Fatherland Front Central Committee Nguyen Thien Nhan visited doctors and medical officials at the city’s hospitals and family of late academician, former Director of the Ho Chi Minh City Health Department Duong Quang Trung on the Doctors' Day. The chairman expressed his deep gratitude for great contributions of the late academician in an establishment of the Ho Chi Minh City Heart Institute. A delegation of Vietnam Party Committee, People’s Council, People’s Committee and Fatherland Front Committee in Ho Chi Minh City led by Secretary of the HCMC Party Committee Mr. Dinh La Thang visited and congratulated Prof. Tran Thi Trung Chien, former Minister of Health. On behalf of the delegation, Mr. Thang highly appreciated and thanked the former minister for her outstanding contributions in the country’s health sector.